We are a leading Manufacturer of hollow shaft for cement process plant from Ahmedabad, India. 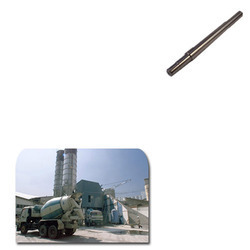 We are one of the leading manufacturer and supplier of Hollow Shaft for Cement Process Plant. The offered range of products are highly on demand due to its excellent quality and fine finish. Looking for Hollow Shaft for Cement Process Plant ?